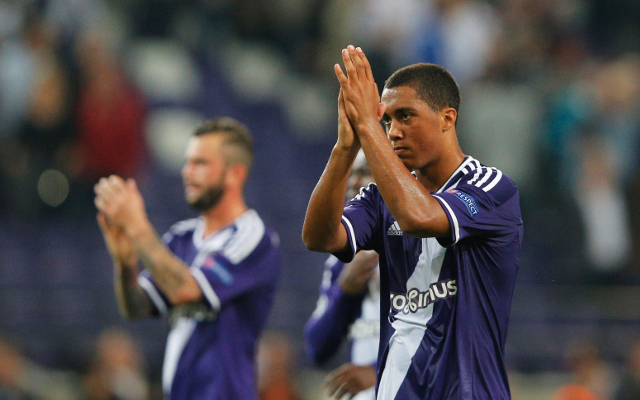 Chelsea and Liverpool are both interested in signing Anderlecht wonderkid Youri Tielemans, according to The Sun. There is scarcely a better youngster anywhere in Europe than Tielemans. He holds the record for being the youngest Belgian ever to appear in the Champions League, when he took to the field against Olympiacos in 2013. He has gone on to establish himself as a cornerstone in Anderlecht’s side, and it has given him the opportunity to develop into one of the best players in his home country. His good performances in Belgium appear to have caught the eye of several clubs around Europe. The Sun report that Premier League giants Chelsea and Liverpool are both keen on signing Tielemans in the summer transfer window. However, the tabloid believe that Ligue 1 leaders AS Monaco are reading the race to secure his signature. It remains to be seen how much Anderlecht will demand in exchange for his services.